Whale Club is a trading platform based in Hong Kong. The platform allows users to trade in major fiat currency pairs, oil, gold, silver, indices, cryptocurrencies and the stocks of big companies such as Facebook, Apple, Amazon, etc. 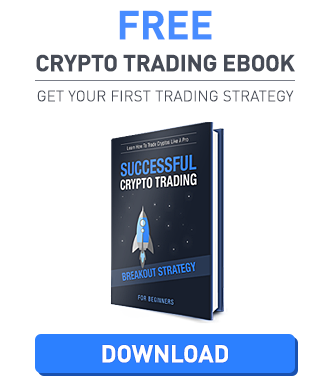 The company also offers a feature called “Turbo trading,” which is a type of binary options where traders don’t get leverage and use their actual funds to bet. The most unusual thing about Whale Club is definitely their deposit policy. The company only accepts Bitcoin deposits, but there are no minimum deposit or identity verification requirements. The company was established in 2014, but it started live trading in January of 2016. The Whale Club was founded by Perry Steegen, a former banker and technology enthusiast. The trading is now available in 190 countries, allowing users across the globe to use its services. This unusual forex broker is not regulated, which brings certain risks for the clients. Another thing that makes Whale Club unique is their registration process. All it takes to get an account on the platform is a valid email address and a password. The company does not ask for any other information or require identity verification. 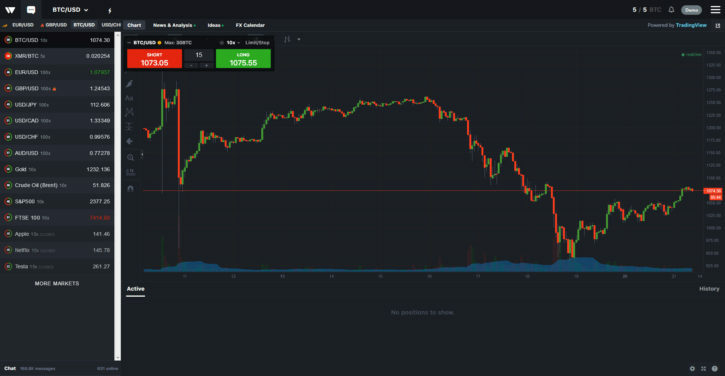 The Whale Club uses a popular platform provided by TradingView. TradingView is excellent at combining trading with social networking, allowing users to share ideas and strategies. It also offers access to many useful tools such as charts, analysis tools, libraries and much more. A complete list of all trading pairs can be found here. The platform also offers a type of binary options called “Turbo trading.” Turbo trading is a sort of binary options where traders predict the price rising or falling at the particular time. If the prediction is correct, traders make a profit equivalent to the payoff which can be as high as 75 percent for some markets. If not, trader loses the amount invested. Payoffs for all markets can be found in the far right column here. Demo accounts for turbo trading are also available, and that’s probably the best way to test the turbo mode. Trades are usually capped between 0.1BTC and 0.15BTC. A guide for turbo trading can be found here. When it comes to deposits and withdrawals – the trading platform has a strict “no fiat” policy meaning they only accept Bitcoin for this type of operations. There are no limits for deposits, withdrawals or trading. The binary options platform has a good support team, always willing to help. The support is available 24/7, but it can be contacted only through tickets. There’s also a knowledge base, which has a lot of answers to frequently asked questions. When it comes to educational materials, the only thing available on Whale Club at the moment are Getting started guides. This isn’t enough for experienced traders, so there’s definitely room for improvements. This is the rising star in the industry, and we’re looking forward to seeing it grow.